Pallavika Nursery is the biggest nursery of Uttarakhand. Farm nursery situated on N.H. 74 Maharajpur, 1.5 Km from Mahindra & Mahindra Tractor Division Lalpur, U.S.Nagar, Uttarakhand 10 Km. from Rudrapur in 33 Acres with two sales counter one in Rudrapur U.S.Nagar, Uttarakhand and another Bharatpur, Bilaspur, U.P. Nursery was established in 1992. Nursery was managed by two brothers. Elder one is Mr. Krishan Thukral B.Sc. Ag. & A.H. from G.B. Pant Agriculture University Pantnagar in the year 1986 and Younger one is Mr. Baldev Thukral, M.Sc. Ag. (Horti) from G.B. Pant Agriculture University Pantnagar in the year 1992. Pallavika Nursery has great facility of Tissue Culture Lab and with this technology we are producing good quality, virus indexed, genetically pure and disease free planting material to get quality product and better profitable price. Pallavika Nursery is having production capacity of 10 LACS plants per year. 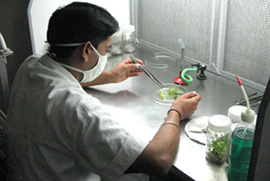 Pallavika Nursery has Tissue Culture Lab for the production of various types of Horticulture & Floriculture plants. 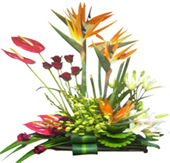 Landscaping & Gardening such as Water-fall, Fountain, Hut, Path, Rockery, Lawn etc.